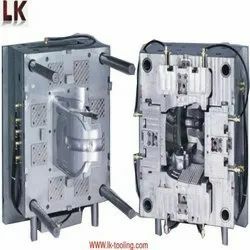 Mould base: Standard mould base, LKM, HASCO etc. We offer high efficiency Plastic Moulds Dies that are made by from the premium raw materials to add durability and performance. Offered dies are manufactured as per industry laid parameters. Reckoned for its remarkable performance, this range is available with us in various standard and custom made options at market leading prices. Being a well-distinguished company in the market, we are into offering SS Plastic Mould. 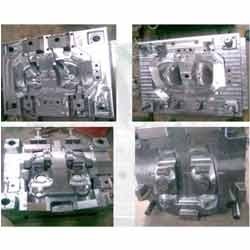 We are offering premium quality Plastic Molds that are manufactured in our two world class plastic molding machines. These Plastic Molds are also designed manually for effective usage in the engineering industry. Furthermore, our molding are highly durable, reliable, superior in performance and possesses high efficiency. Raja Plastics & Engineering Co. Abiding by all the norms and quality standards, we are engrossed in presenting a comprehensive consignment of Plastic Molds. Developed with utmost accuracy, these are exceedingly demanded. Moreover, their obtainability with us in modified packing makes these a preferred choice. In order to conquer enormous level of patron belief, we have been engrossed in offering a vast collection of Plastic Mould.